If something about this site has caught your attention, please follow your instincts. Find fulfilling romance in your life. Decide if you’re wasting time with the wrong person. Get additional insights about critical decisions. Make major career or business decisions. Communicate with a lost love one. Clients all over the country call me with these issues and more. If any of these describe you, reach out to me today. Lets see what’s possible when you understand the real person behind the behaviors! Do you have questions in Life that need answers? Private questions about Love and Commitment? Unresolved issues about those you’ve lost? Worries that trouble your life? A psychic reading may help. 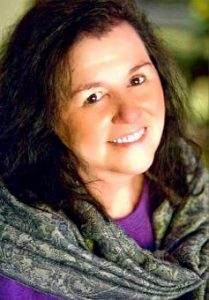 Cynthia’s psychic abilities have helped hundreds of people discover the genuine love they sought, or find closure and heal from the pain of loss. If you want to gain the insight needed to make choices that lead to happiness and well-being in your life, isn’t it time to take a positive step toward the spiritual awareness found in psychic contact? Cynthia’s live psychic readings invite a connection to the people in your life, and the spiritual plane, revealing hidden meanings and answers you might otherwise never know. Schedule a telephone psychic reading with Cynthia now, and begin anew your journey of fulfillment. There’s a reason you’re here. Act on it. Discover the warmth and blessings of a private consultation with Cynthia. Click here to connect and get started. Clairvoyant Psychic Reading: There are many benefits from a psychic reading with Cynthia. With her clairvoyant psychic reading you can discover hidden answers to your questions. You can find clarity and closure to difficult situations. And best of all you can be shown the tools and insights to make clear and confident decisions. Psychic Medium: Cynthia is truly a spiritual psychic medium. She connects with your loved ones in the most respectful and loving ways. She finds deep insights. Cynthia provides useful answers and comfort to you and your family. Coaching/Training: Cynthia offers much more than psychic medium, spiritual psychic readings and clairvoyant psychic readings. She offers unique Personal & Professional Whole Life Coaching and/or Psychic Training. The whole life coaching/training program is a unique blend of Personal Psychic Readings and Professional Coaching. She has an extensive background in NLP, Energy work and much more. Your personal program is designed personally for you. It is created around your specific needs and desires. Please note: Readings and Life Coaching are offered by phone to anyone, anywhere seeking Cynthia’s help! Contact her to learn more.